Max for Cats’ OSCiLLOT just keeps on growing. 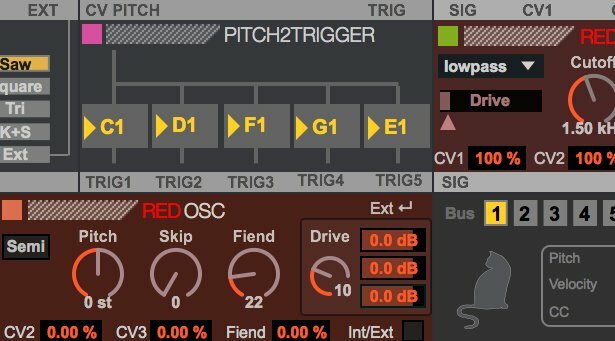 A free update adds seven brand new modules to the modular synthesis system and expands the functionality of several pre-existing modules. Among the new additions are a Karplus-Strong-based oscillator, a filter with input overdrive, a Leslie speaker simulator, a Voice Morpher module to create robotic and vocoder-like sound effects, and more. See and hear the new modules in the video below. If OSCiLLOT has gotten you interested in patching together some more complex devices, you’ll want to keep an eye on Max for Cats’ ever-growing range of video tutorials. The newest of these is also the first in a series of masterclasses, each of which will demonstrate one form of audio synthesis, and how it can be achieved in OSCiLLOT. The inaugural masterclass covers the most common type, found in 95% of all synthesizers; subtractive synthesis.